With thanks to Jean McClennon (was Bailey) for providing the scan and notes. 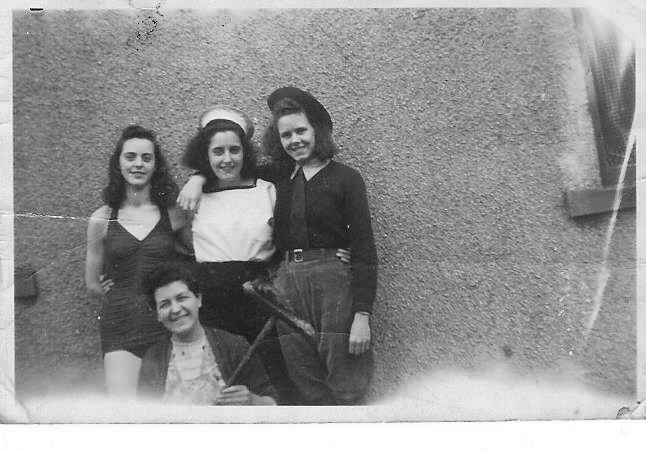 A photo of my mum Marion French with some other hostel girls. My mum is in the middle with the sailor cap on. The lady in front may be Rose Port. I would be interested to know who the others are.